CHURCHIANITY, CHURCHIANICS, THE CHURCHED AND CHURCH – Final Part | Thoughts of a Calabarboy. 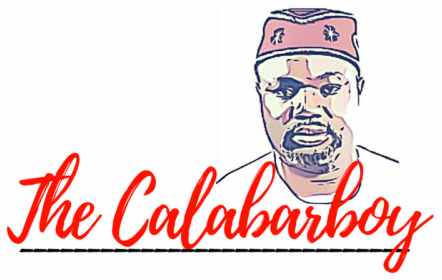 CHURCHIANITY, CHURCHIANICS, THE CHURCHED AND CHURCH – Final Part – Thoughts of a Calabarboy. From all that I have discussed, we can see that much of what is practiced today is mere religious dynamics and a sheer departure from what Christ intended. I usually ask myself that how come then God’s kingdom is still advancing despite these invasions of paganistic pseudo-spiritual affectations. But I soon realize that God’s purpose on earth can never be thwarted, not by the schemes of humanity, neither by the ignorance of religion. On one of my studies of the Gospel of John I came across this statement made by Jesus: “I tell you the truth, the Son can do nothing by himself. He does only what he sees the Father doing. Whatever the Father does, the Son also does.” (John 5:19). This is absolutely amazing! The implication of Jesus’ open statement was that He only did whatever His Father does. Which means every action He carries out is what He sees the Father doing. Does this apply today? Are we not mainly following the machinations of religiosity and floating carnal ideas and activities all around the world? I know of a Pastor who I often listened to because of his knack for delivering Biblical truth in raw form. He created a lot of enemies for himself within the body of Christ, simply because he spoke hardly even to other pastors. He made a daring move that made me look at God at again. He closed down all the branches of the church he pastured and told his members that he had been walking in error. He stated that God never called him to establish branches, but to build men into spiritual competence. For those who are experts of church growth, that’s a suicidal move, because you have weakened the support base for your ministry. But this was a dire act of obedience to God. He went back to his predefined purpose and now his influence and impact is growing stronger. Like the pastor I earlier wrote of in this series who left his church member in a cozy auditorium and went after sharing the good news with social miscreant, these men are coming into a place of real understanding; an understanding that the kingdom of God is in the going, and not in the staying. We have designed and built great systems that have made us into a social organization, welcoming people to join and granting memberships. What then is our call as the elect of God, and the ones called out of darkness into His marvelous light? What is the central role of the Ekklesia of Christ on the earth? And this I find clearly stated in the scriptures. John 20:21 says – “Again Jesus said, “Peace be with you! As the Father has sent me, I am sending you.”” This points us to the question of what did the Father send Him to do? I can get back to the book of Genesis to begin tracing the mind of God from there until the appearance of Jesus, but time will not permit me so. But we can also see God’s purpose in the opening of the work of Jesus on the earth, especially the first thing that He would say when He started out. Matthew 4: 17 tell us the first thing that Jesus said according to the Bible- “From that time on Jesus began to preach, “Repent, for the kingdom of heaven is near.” Repent there doesn’t mean stop sinning as we traditionally know it, but it means ‘change the way you think’. So Jesus was simply trying to break into the hearts of men by telling them what He had come to introduce: The Kingdom of God. Change the way you think people, God’s Kingdom has arrived. Jesus came to introduce a Kingdom and not a religion; a kingdom and not a tradition; and a Kingdom and not a physical structure. This is what defined and determines what we do on the earth as the disciples of Jesus. I sometimes refuse to call myself a Christian, because it is associated with a religion. When we accept this position, we fall into the worldly characterization, where we are one on the many religions out there. In fact the word Christians was first used by people at Antioch who were not disciples, but pagans. Though a harmless word, but it isn’t a full description of who we are. Others say they are Born Again Christians. Again these descriptions have elevated us into unnecessary categorization through which the world views us and predicts our responses. Jesus referred to us as His disciples and His friends. We are His disciples because we carry His message and friends because He paid our debts so we get accepted back into God’s original design for mankind. So we are His representatives here on earth, establishing His kingdom and expanding it everywhere. Enforcing His principles and delivering His Judgments as we hear from Him. Our commission is in the going into the whole world and teaching men the things that He taught us. Jesus preached the Kingdom of God, and we preach get born again. We hold large crusades and revival services and all manner of gatherings and we tell people to become born again. But the commandment was to preach the Kingdom – “As you go, preach this message: The kingdom of heaven is near. Heal the sick, raise the dead, and cleanse those who have leprosy, drive out demons. Freely you have received, freely give.” Matt. 10:7-8. This is our message and Jesus has shown us the way and requires us to do the same. While I can go on and on about this matter, I perceive it is time to stop here and allow you reason with me and understand why many things are just plain wrong with what we do today. I have deliberately left out some issues because it is best discussed at a more mature forum where people who are not afraid to challenge conventional thinking can brood it over. We are not called to build buildings or gather people into structures on a special day every week. Our mission is a daily one where we are trudging down the worldly mindsets and rescuing men from the strangleholds of a demonic system. We are bringing men into a system that is working concurrently with the worldly system. Ours is a Kingdom and we have a culture at work, and we operate by the Law of the Spirit of Life in Christ Jesus. We are not building a worldly system, because it will all pass away, but we are building a spiritual kingdom which is ever lasting. Let us not make the mistake of the Tower of Babel where God had to scatter them. In Acts of the Apostles, He also had to scatter them, so that the Gospel will go forth into every nation. So I stop here so you can fill in my blank spaces and complete my thought, as it is just too impossible to keep writing on this matter. But I do hope I have strummed a chord in your hearts and you will be singing a different tune from now on. Love your article! It is right on the money. Jesus is not religious but the other jesus (antichrist) is in order to deceive the masses into his end times ecumenical hodge podge which is basically everyone doing what’s right in their own eyes and not God’s. They are all blind leaders of the blind practicing a system of Nicolaitism (Nico=ruler, Laitan=laity), that Jesus said He hates (Rev 2:15). Most of organized religion is also unequally yoked with Caesar (gov’mt) via the 501(c)3 tax exemption which was totally unneccessary to begin with under the constitution and required them to sign a form which constrains their preaching on certain unpolitically correct subjects, like homosexuality, beastiality, abortion, shacking up, etc. I’d love to meet a pastor like the one you described in your article. Men (or women) like that are rare jewels. I attended organized church for 30 years and never knew Jesus until I finally got sick of all the gobbledy goo being taught and the canned “sunday school” brochures that seemed more phony as time progressed and so I finally began actually READING my Bible!! (for myself!) And when I did, I immediately discovered numerous false teachings being taught by my church (southern baptist) as well as every other denomination I had ever visited in the past. I finally surrendered to Jesus Christ and obeyed His command in Luke 13:3 to “repent or perish” which meant giving up all my pet sins in exchange for the light of the Truth (Jesus Jn 14:6) and He immediately opened up the Scriptures to me. Yes we do have to give up sin in order to repent: “You are that one’s servant whom you obey, whether of sin leading to death or righteousness leading to life.” Rom 6:16 Of course we “all stumble in many things” but that is why we “endure” (matt 10:22) and walk with Him (the Word Jn 1:1) every day so that we will confess our sins regularly since it is impossible to practice sin and walk with the Truth (unless one is adept at playing the hypocrite). I’m not sure what your doctrine is on other Biblical subjects Reggie, since I just “trolled” and found your blog, but you hit the nail on the head above! Lynn so great to see you up in here. I actually do not invite people to come here to read my stuff. I just allow those who God leads to find this and read. You obviously have a lot more than myself to share regarding this. I am just finding my feet on the truth from scriptures and suddenly discovered that I have been living after the imaginations of men and organized and orchestrated religion for most of my life. Like you, the light in me, by virtue of the uncontaminated word of the Lord began to unsettle me and gradually I knew there was more to God than what the pulpits declared. This is my little steps taken towards uncovering the total mind of God in Christ Jesus. Please feel free to exhort us the more with what you have discovered as we glean from each other what God is doing and where He is going with His body. Reggie, your discovery of truth sounds very similar to my own and I’m probably not that much further along the ‘narrow path’ than you are! Jesus began to open my eyes around January of 2007 after I began to notice the false doctrines being taught. The first ‘red flag’ went up in a women’s sunday school class when the teacher, and elderly woman started out the class with “You all do believe in “once saved, always saved” don’t you? And everyone nodded or remained silent except yours truly. I immediately said that Phil 2:12 said to “work out your own salvation with fear and trembling.” To which they responded that we are “not saved by works” (in Ephesians) and I remembered Jesus’ words in Matt 7:13,14 that “narrow is the path that leads to (eternal)life and few are they that find it.” But at that point, I was not well grounded in Scripture enough to debate with these women who were very well grounded in their false doctrine and knew all the twisted, cherry picked out of context verses used to support that doctrine. But, that was the catylist for me that led me to search for the Truth (Jesus) with all my heart, which is exactly what He wants us to do! And, while searching for truth, not realizing or connecting the fact that Jesus IS the Truth, I found Him! And I have learned so many things in just a short period of time it is astonishing! I surf or “troll” the internet and read and study my Bible nearly every day and He has given me (I believe) the gift of spiritual discernment or a certain “knowing” the true from the false when reading through internet websites which has allowed me to glean lots of treasure (truths) while rejecting heresy and government propaganda (which the hell-a-vision is full of!). I don’t know what your political views are and I don’t want to step on your toes but I’ve learned that Jesus and His original followers were not political and did not participate in the Roman government nor its wars. That’s another truth that offends most churchians, many of whose sons are in the military. Jesus said “My kingdom is not of this world. If My kingdom were of this world, My servants would fight, but now My kingdom is not of this world.” Jn 18:36 And Paul said “For though we walk in the flesh, we do not war according to the flesh.” 2 Cor 10:3 So it is clear to me that all this militarized “christianity” is not Scriptural and the Old Testament cannot be used to justify it, since the physical wars in the OT are a mirror image picture of the SPIRITUAL warfare of the New Testament. God gave me a revelation about that with David and Goliath. David is the NT believer, his sling and stones are the Word of God and Goliath is the enemy (satan, the world, false doctrines, people controlled by satan, etc.). And using that analogy, you can apply it to all the fleshly warfare in the OT and come up with a spiritual counterpart! Another one He revealed to me (not to do with war) is Leah and Rachel. Joseph had to work seven years for Rachel but he got Leah instead and ravished her in the dark thinking she was Rachel. Joseph represent Jesus, Leah represents the Wise Virgins, (true believers, I’m like you about the word “christian” ….it’s been tainted by the phonies), and Jesus “raptures/ravishes” Leah 7 years prior to finally getting Rachel (Jewish people/Israel) at the end of the 70th week of Daniel or Time of Jacob’s trouble (Tribulation). That’s why I’m firmly a pre-tribulation rapture believer but unlike the majority of churchianity, I believe only a few will be counted worthy to attend the wedding supper. Luke 21:36 “Pray that you might be counted worthy to escape all these things that are coming to pass, and to stand before the Son of Man.” The prophets Isaiah, Ezekial, Hosea and especially Jeremiah depict the harlot organized chuch as going through the tribulation to be “tried by fire” but the faithful few will be “kept from the hour of trial that will come upon the whole world.” Rev 3:10 I love to read the OT prophets. Nearly all their writings apply to this present time and 2 Pet 3:2 tells us to “heed the prophets that came before.” I always remind churchians of that verse when I quote Jeremiah or one of the other prophets and they say, “well that’s just for the Jews” or “that’s Old Testament, were under grace not law”. Their biblical ignorance is so frustrating and sad. I don’t say that from a prideful standpoint but because I used to be the same way. They let the hired hand “spiritual” leader spoon feed them from seminary taught nonsense, select cherry pickings and erroneous commentary and when they have their Sunday morning spiritual jiffy lube fix, they live just like the rest of the world the rest of the week. That’s why I no longer attend organized “church”. I guess you could say I’m a “lone ranger” not by choice but by necessity. I just try to serve the Lord each day by staying in His Word and spreading the truth any way possible to anyone who will listen. And the “truth” runs deep, let me tell you! The things going on with the governments of the world are absolutely sinister! But I won’t go into any of that unless you are interested. You might think I’m a “conspiracy nut”… lol! Well, Reggie, I think I’m rambling, but it’s because I hardly ever get to talk to another believer who shares similar interests! Thanks for letting me share with you. I am excited you are sharing this, because it is resonating with my inner convictions. I can take you through my journey towards walking in the light of the truth as you are also discovering, but will this space suffice? It is obvious that you are already drunk with the reality of God’s original purpose for man and the establishment of His body on the earth. And I am excited to share truth here with you. In truth, we probably need to deliver Jesus from the church and bring Him back into our homes where the power of His kingdom is to be established. So now I open up my home for the sharing of God’s word and the living the life of love, which He commanded. When you mentioned Jesus saying His kingdom was not of this world, I knew you had come into that understanding, as I was looking for clues if you really understood these things. I am glad that I have found another one who I can engage in the discovery of the truth and be open about false doctrine. I think the prophets are literally screaming from the rooftops these days, don’t you agree? I guess you didn’t notice my glaring error in my previous message but I have to confess, I’m Jacob/Joseph DYSLEXIC (lol). I have Joseph married to his mother Rachel and I meant to say Jacob. Sorry! ha ha ha…yes I did notice it, but I knew what you were talking about, so I didn’t bother. And you know it may interest you to know that the word ‘pagan’ in Hos 5:7 (which KJV also calls “Strange Children’) does not mean someone who doesn’t believe in God. Rather it meant religious people. So pagans were those overcome by religious spirit and overruled by form and customs. This is such an apt description of many in the “church” today.